You are embarking on one of the most exciting journeys of your life. Deciding to get married is one of the biggest decisions you will ever make and will be a time filled with joy, hope and big dreams. Stems Market Wedding Flowers is truly about you and your flowers. We listen intently and strive to integrate your style and vibe into your final designs. Big or small, It is our goal to offer every bride the ability to have the flowers of her dreams within a budget they choose. Stems Weddings would love to guide you through the wedding flower process. We have over twenty years of wedding experience behind us and we have developed a program that lets you create a unique wedding experience that is all yours, while maintaining your sanity. We have been honored to be a part hundreds of brides wedding flowers and our team would be honored to be apart of yours! 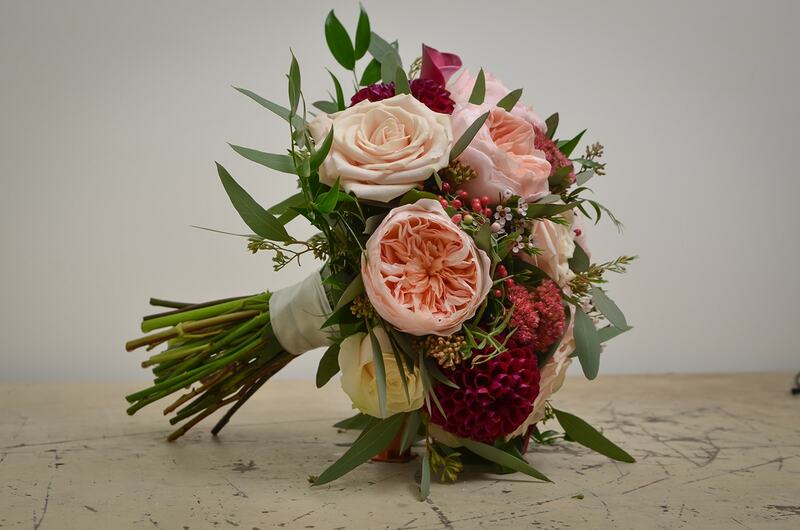 Stems Market has an amazing design team in our studio creating beautiful bouquets, arrangements, garlands, boutonnieres, corsages and much more. We work really hard to make your wedding day dreams come true. Stems design team can create stunning arrangements ranging from simple and traditional to whimsical and innovative. We love hearing your style and personality and vibe as a couple and coming up with designs that match your wedding dreams. At Stems we are all about flowers!! Drawing cues from our fresh-cut flower market, Stems offers the same level of freshness and creativity in its wedding program. We know flowers and we work directly with our flower farms to secure quality fresh product. With stems knowledgeable team working along side you, you can tap into our vast flower knowledge making sure you know all your options when you are making your flower decisions. You will find our amazing design team to be passionate about creating fresh, on trend, and gorgeous designs. Our consultations are free and our pricing is always upfront, never a guessing game. You will also notice we rely heavily on technology, giving you the 24/7 ability to communicate with us, make changes, upload a photo, ask questions, confirm a quote, or even pay a bill. Stems Market has developed a process that we enables us to communicate efficiently with our brides. As a bride you will be given a log in portal that allows you direct links to your quotes and a direct line of communication with our Stems Design Team. All online communication is documented for all parties to view. This way nothing gets lost, forgotten or uncommunicated.